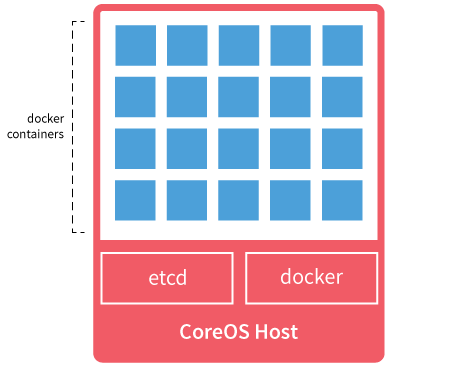 CoreOS, the company that makes a scalable version of Linux custom tailored for servers, has raised $8 million in a Series A funding round and is now offering support services for companies that might need help getting their server operating systems off the ground. The new commercial-help service is called CoreOS Managed Linux, which the company describes as being an “OS-as-a-service” offering that provides organizations with constant patches and updates in case they don’t want the responsibility for having to deal with that type of admin work themselves. Given that Google (S GOOG) and Facebook (S FB) are pretty open to the public in terms of how they engineer powerful cloud computing, especially when it comes to containers as Google’s Kubernetes tool can attest, CoreOS CEO Alex Polvi saw the opportunity to bring the technology of the tech giants to the regular Joe, Polvi said in an interview with Gigaom. Polvi and CoreOS CTO Brandon Philips, also a co-founder, first started working on a version of the Linux OS that was built with security in mind. Linux-based operating systems, although they function well on servers and can allow for containers to be spun out on top of them to handle workloads, are generally a chore to update. Because of this annoyance, operations staff often overlook updating the OS, and as a result, the server’s security can be compromised. Using the idea of how Google’s Chrome browser has auto updates that make it a whole lot easier for folks to do their patching, Polvi and his team developed a streamlined version of its Linux OS that had auto-updating capabilities as well as other tweaks that make it suitable for running exclusively on servers instead of having to be modified to do so. Docker containers have been generating a lot of stream in the application development marketplace, but in order for a container to function, it needs an operating system from which it can latch onto and harness its power since containers don’t have their own OS. This is where CoreOS comes into play. “Docker is the package manager for warehouse computing and we are the OS,” said Polvi. The CoreOS Managed Linux offering comes with all the things you would want (except a server) to get containers up and running, including the container management system Docker 1.0 (Philips is a Docker board member, said Polvi); CoreUpdate, which is a dashboard that allows for control of updates; and the patching and updating service known as FastPatch. The product will function on bare metal machines, AWS, Google, Rackspace and other server environments. The monthly charges for the service can range anywhere from $1,000 to $100,000, depending on the number of servers one has, said Polvi. When asked about current competitors in the field, Polvi named a few, noting that Red Hat’s Project Atomic is “a direct response to CoreOS.” Red Hat is also a member of the Docker governance board. Kleiner Perkins Caufield & Byers drove this investment round with previous investors Sequoia Capital and Fuel Capital both contributing. CoreOS is based in San Francisco and has roughly 15 employees. Post and thumbnail images courtesy of Shutterstock user Thorsten Schmitt. hm…sounds a bit like rpath, a company that gots lots of press, lots of vc money, and then straggled on for years and years. Granted it is around containers, but rpath was heavily around lightweight VM’s, when virtualization was in it’s earlier days. Just feels kinda the same to me. which is worth reading for all Linux aspirants like me.